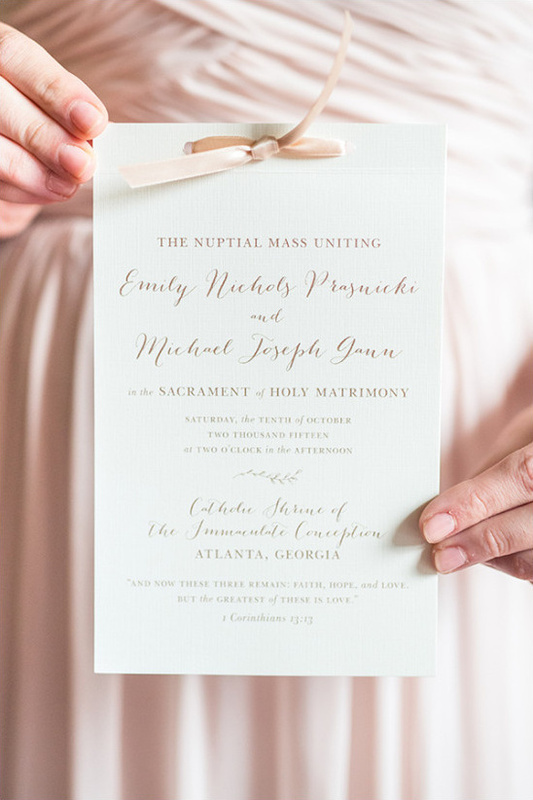 Emily and Michael's wedding day was full of little details and special touches and every single one of them is so pretty! 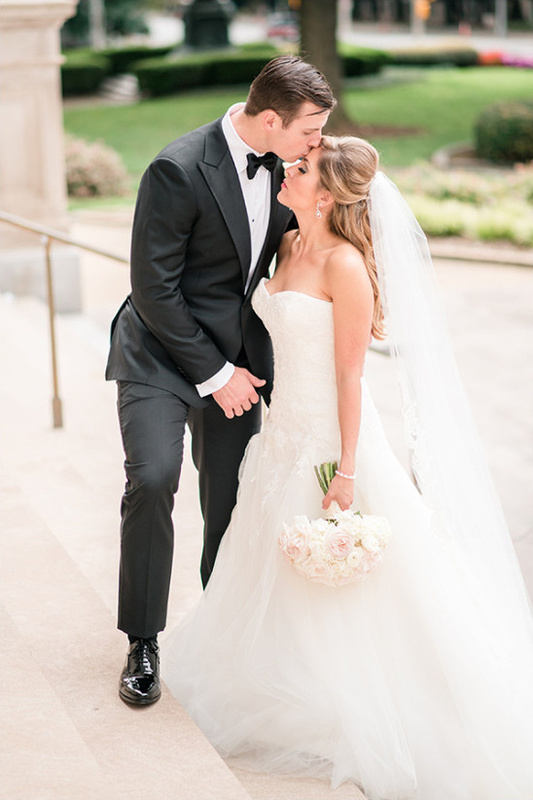 Their love for each other has truly lit up their world and they wanted all of their loved ones to feel that throughout their wedding day. 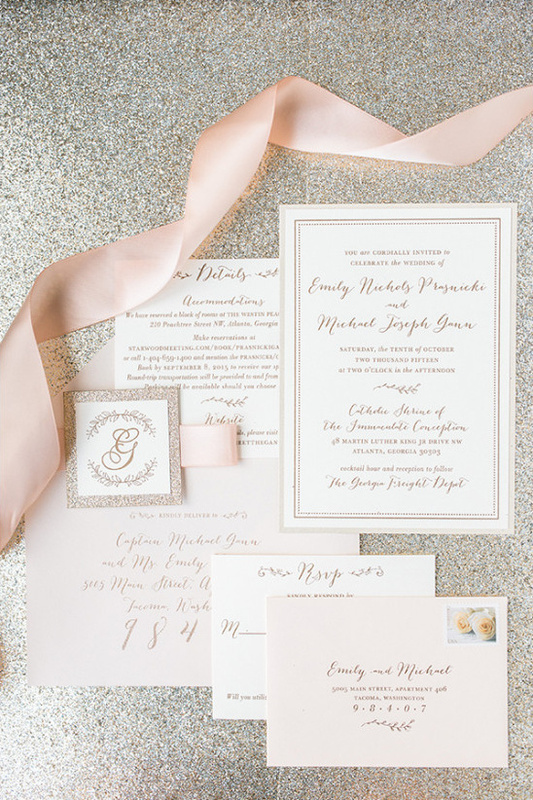 Drawing their inspiration from that, everything was soft and elegant with ivory and pale blush tones and hints of gold. 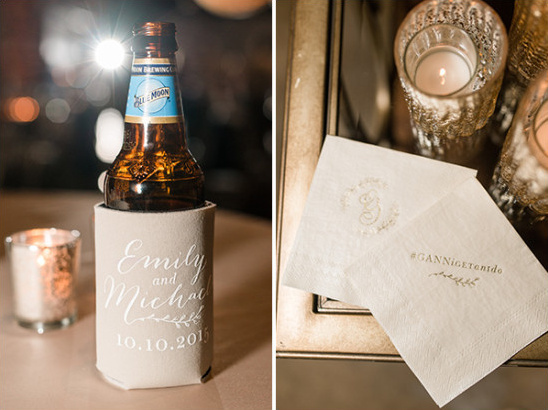 Keep an eye out for their wedding hashtag, we love when couples create cute ones based off their new joint last name! 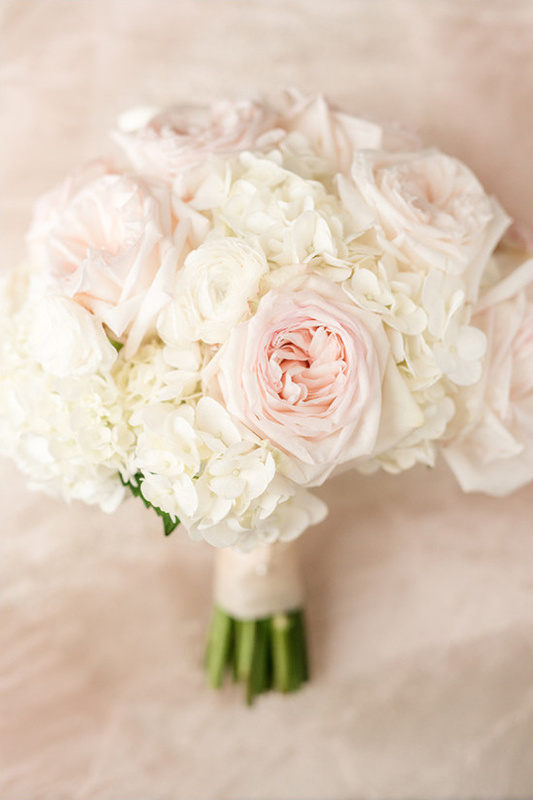 Also, don't forget to get a closer look at this lovely pink and ivory wedding in the full gallery here, photographed by Audrey Rose Photography. 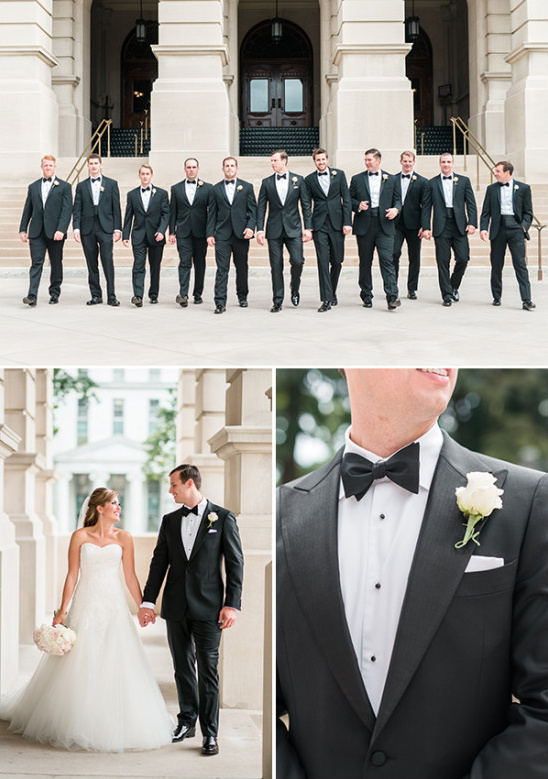 The vision began with the cameo colored bridesmaid dresses with ivory and pale blush bouquets paired with traditional black tuxedos for the groomsmen. My something old, new, borrowed, and blue all represented special parts of my life. My something old was a pearl bracelet I wore to a special occasion in my past. 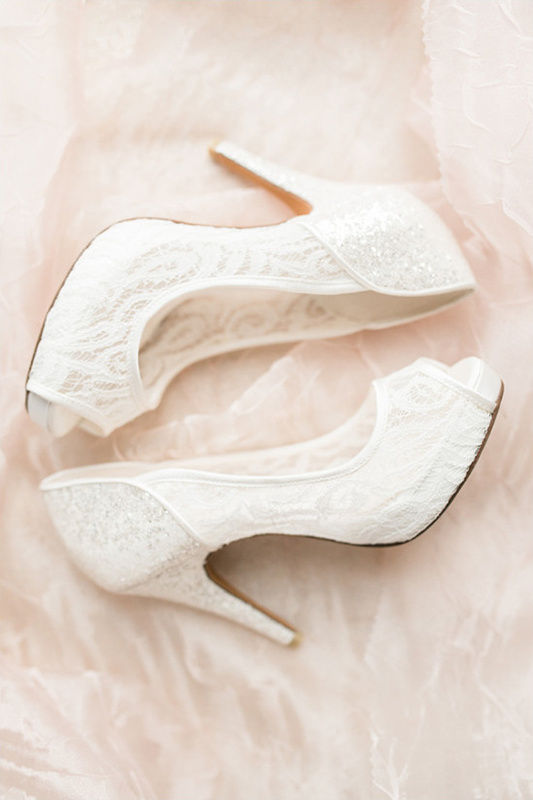 My something new was my dress, shoes, and earrings. I wore the promise ring that my dad gave my mom when they were sixteen years old as my something borrowed. And my something blue was a patch embroidered with my new monogram and our wedding date in pale blue stitching. I thought really hard about this after the wedding and really don't think I would have changed much at all! I wish I would have brought a curling wand with me to the ceremony/reception. I got my hair done at 9:30 in the morning and our reception didn't end until 10:00 at night! 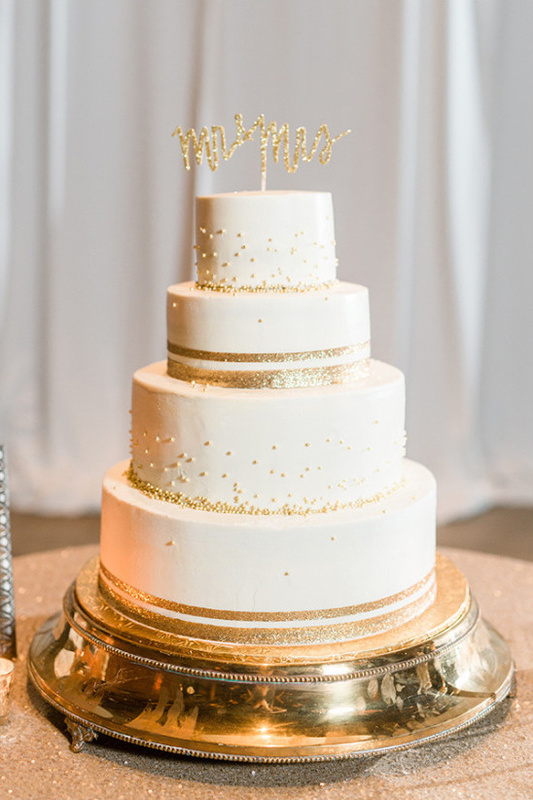 Even though it wasn't a huge deal, I would have loved to do a few touch ups before the reception! My most anticipated moment of the day (besides saying "I do" to my amazing husband) was walking in and seeing the room come to life. The moment exceeded all expectations we had and it was the most beautiful I'd ever seen! It was an amazing feeling to trust all of our vendors so much - they worked as an amazing team. 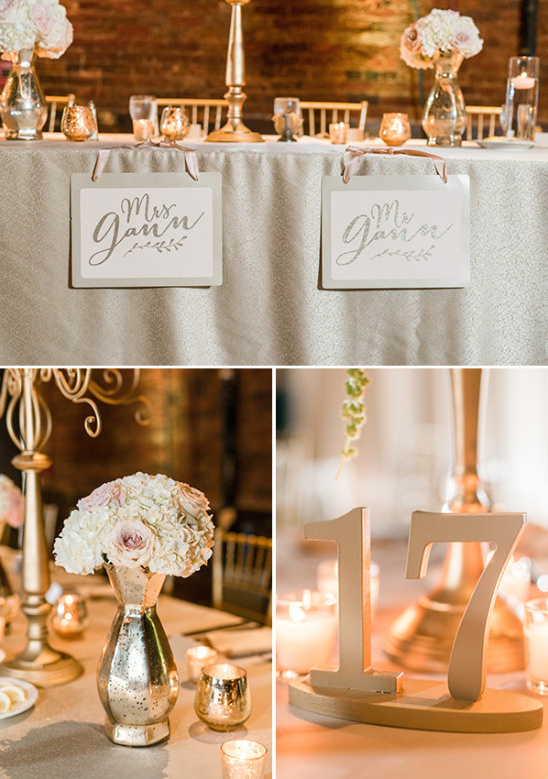 The reception venue was an old train station, the Georgia Freight Depot. It was an all brick building with extremely high ceilings and industrial piping throughout. My goal was to use that awesome dark brick space and fill it with feminine touches to lighten it up. 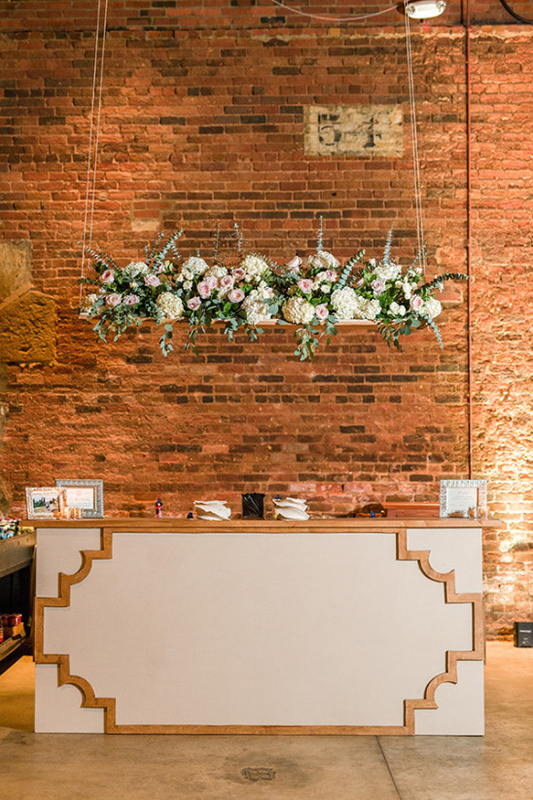 The chandeliers and the hanging floral arrangement over the bar really brought the high ceilings down. 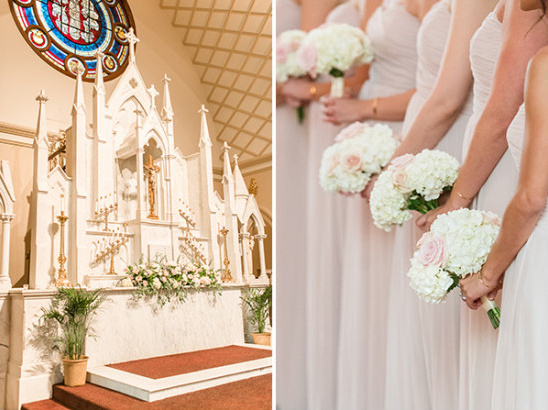 (The hanging floral arrangement was re-purposed from the altar during Mass.) 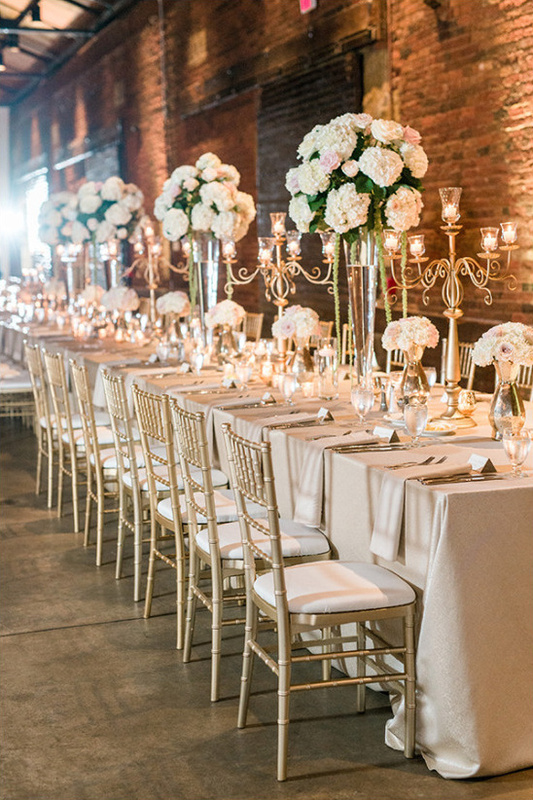 To contrast, the tall floral centerpieces brought the perfect amount of height. And gorgeous linens and candlelight throughout really added dimension to the room. The food and drink was also very important to us. I come from a huge Italian family where we talk about what's for dinner tomorrow before we're even done with breakfast today. ;) So I knew I wanted to have quality food and an open bar. I wanted guests to be happy and comfortable and not have to worry about a thing while they were there. We got to pick out three different flavors of cake and each one was just as good as the other. White chocolate cake with raspberry curd filling, pumpkin spice cake with citrus cream cheese filling, and chocolate fudge cake with cookie dough filling. It can be so easy to splurge or to get caught up in so many little details that only add a couple $100 here and there; but they add up and can cause you to overshoot your budget. I tried not to do that. But there were a few aspects I wasn't willing to skimp on. Photography and videography were two of the most important things to me for our day. While everything that makes up the day was important, we will have our photos and video for the rest of our lives. 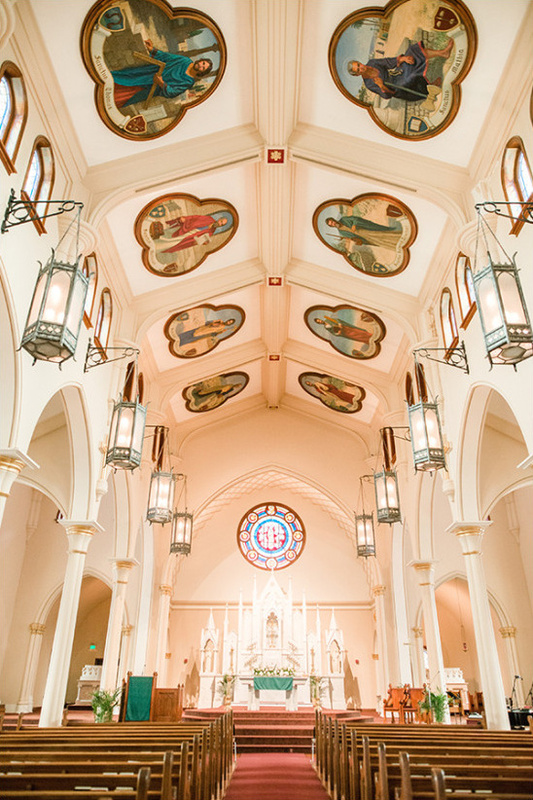 See their wedding video below, filmed by Color Me Wed.